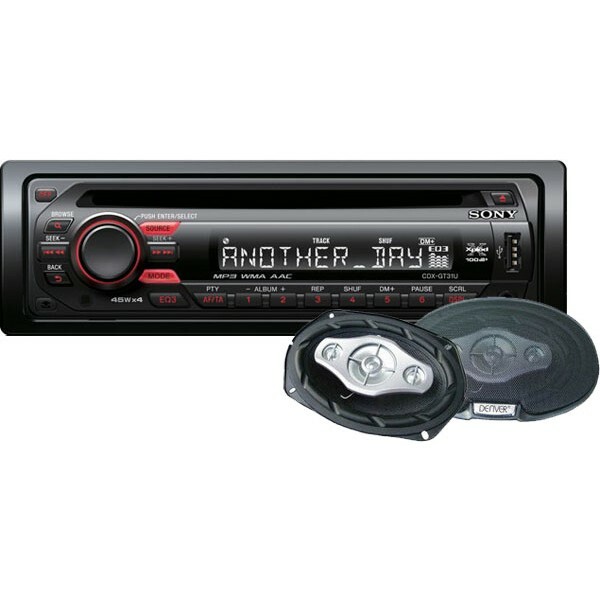 This Sony CDX-GT31U versatile CD player brings MP3 / WMA music file compatibility to your vehicle. You also get a strong on-board amp for crisp, clean performance. Three tone controls and preset tone curves allow you to tweak the sound, while the preamp outputs allow you to hook up an external amplifier for even more power. You'll even find a front panel USB input for flash memory stick drives, plus an input for your portable audio player. Enhanced DMP connectivity with Front USB / Aux-in. Easy & quick music searchfrom hundreds of tracks. Sleek cosmetic design with acrylic panel.